This new smaller design allows for fitting into tight spaces. Included is an RF remote that allows you to freely operate the receiver up to 200 feet away, even through walls and obstructions. Bluetooth USB Adapter: Enjoy your favorite TV shows with wireless KICKER Headphones by connecting wirelessly using the adapter. Trending at $74.98eBay determines this price through a machine learned model of the product's sale prices within the last 90 days. 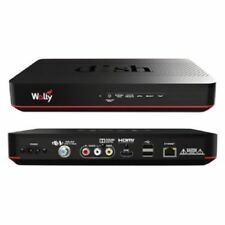 DISH Wally HD Satellite receiver with Remote & Receiver Card (New Conditions - Used less then 6 Months). 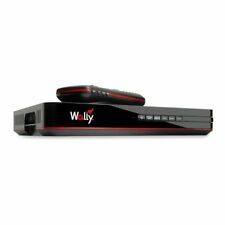 The DISH Wally HD Satellite Receiver is the smallest and fastest mobile receiver ever made, with a suite of new features for an enhanced user experience. The remote is RF (radio frequency) and can be used up to 200ft from the receiver without direct line of sight. It includes the option to control your TV, Satellite, Auxiliary and Input as well as sync up to four remotes to one receiver. Locate your missing remote with the Remote Finder. Dish network satellite dish 1000.2. NO LNB Condition is New. Shipped with USPS Priority Mail. New, Unit Only with manual. You are watching brand new, never use with clear history in Dish Network Receiver 211 Z HD. Box Includes new remote HDMI cable receiver and manual. If you have any questions please contact me. We are authorized retailer since 2002 we help you with whole set up and other Dish Network issues. Thank You. 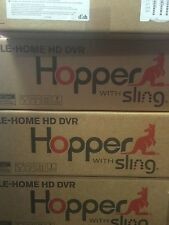 DISH Network HOPPER WITH SLING (2TB) DVR. Condition is Used. Shipped with USPS Priority Mail. Only comes with remote antenna and the receiver. No remotes or HDMI cable included. Your interest is greatly appreciated. I am Human and, therefore, do make mistakes. Dish Network Hopper DVR 1st Gen 2TB Used w/Remote Works Great! 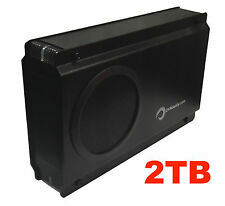 Dish Network Hopper DVR 1st Gen 2TB Used Works Great! Served us well, but we upgraded. Was kept in a cabinet away from dust. This does come with a remote and manuals. 4.5 out of 5 stars - Dish Network Hopper DVR 1st Gen 2TB Used w/Remote Works Great! 63 product ratings63 product ratings - Dish Network Hopper DVR 1st Gen 2TB Used w/Remote Works Great! 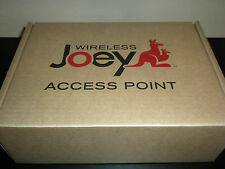 This will put any of your antenna channels that you receive into your hopper DVR system and you can watch them in all locations you have either a hopper or joey hooked up in your house. Installation is very easy and simply plugs into your Hopper or Wally receiver and will add 2 Over the air tuners to your system. Dish Network OTA Tuner USB Digital Dongle Adapter for Hopper. Works great, I just don't need it anymore. Shipped USPS First Class. With Digital Video Recorder : No. High Definition Receiver. Type : High Definition Receiver. HD Resolution : Yes. Dish Receiver 625. Does not include Remote. Int Ref No 19042114Y. 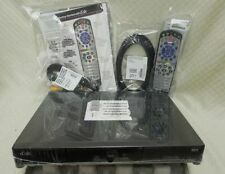 DISH Network Satellite Receiver 162954 Dish DVR 510- New! 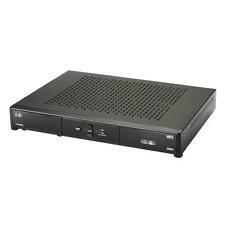 Dish DVR 510. Hours of operation: Mon-Sat 9:00 A.M – 6:00 P.M PT. New - Open Box. This item is presented to you by H&R Jewelry & Loan Co.
4 out of 5 stars - DISH Network Satellite Receiver 162954 Dish DVR 510- New! 24 product ratings24 product ratings - DISH Network Satellite Receiver 162954 Dish DVR 510- New! Used hopper 2000 with controller, hdmi cable, sling adapter and solo node. If something else is needed just ask. This Dish receiver was my uncles, he bought it about two weeks before he had past away. It has been sitting in my room for a while. It is still new has never been used. Comes with remote and how to use remote. Comes with channel listings. I'm asking for $80.00 for the entire set. On Vip 622,722 & 722k Receivers. Sling Adapter. DISH Network. USED to get FREE Dish AnyWhere. DISH Network 811 TV Receiver - New Complete in Factory Box. Condition is New. All components & accessories are in factory sealed condition. The box shows wear. Shipped with USPS Parcel Select Ground. Condition is Manufacturer refurbished. CONDITION: Manufacturer Refurbished. Still sealed in plastic from the factory.